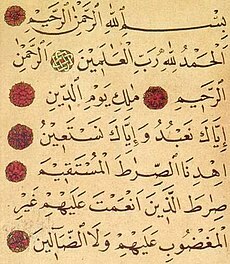 ^ 'World’s oldest' Quran found at Birmingham University. Press TV. 2015-07-22 [22 September 2015] （英语）. ^ Coughlan, Sean. 'Oldest' Koran fragments found in Birmingham University. BBC. 2015-07-22 [22 September 2015] （英语）. ^ Bilefshy, Dan. 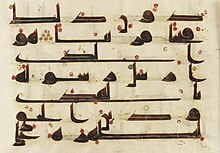 A Find in Britain: Quran Fragments Perhaps as Old as Islam. The New York Times. 2015-07-22 [22 September 2015] （英语）. ^ 4.0 4.1 4.2 4.3 4.4 Nasr, Seyyed Hossein. 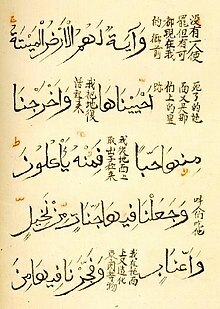 Qurʾān. Encyclopædia Britannica Online. [24 September 2015] （英语）. ^ Disposal of Quran. About.com. [24 September 2015] （英语）. ^ Dukes, Kais. 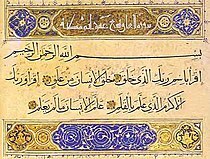 RE: Number of Unique Words in the Quran. The Mail Archive. 2010-03-30 [29 September 2015] （英语）. ^ Abrogation in the Qur’ān. Renaissance. [6 October 2015] （英语）. 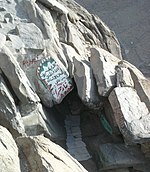 ^ Ahmad, Mirza Bashiruddin Mahmood. Tafsir Kabeer (PDF). [6 October 2015] （英语）. ^ Aslan, Reza. 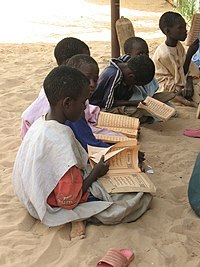 How To Read the Quran. Slate. 2008-11-20 [9 October 2015] （英语）. ^ 伊斯蘭教. 上海市地方志辦公室. [30 October 2015] （中文（简体）‎）. ^ Roper, Geoffrey. 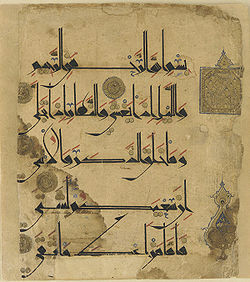 Muslim Printing Before Gutenberg. Muslim Heritage. [23 October 2015] （英语）. 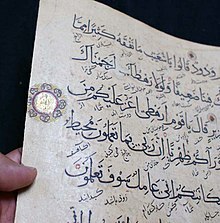 ^ The Quran in East and West: Manuscripts and Printed Books. The Burke Library (Columbia University Libraries) . [23 October 2015] （英语）. ^ On the late adoption of the printing press in the Ottoman Empire. 2014-01-18 [23 October 2015] （英语）. ^ Translation of Sahih Bukhari, Book 61. Center for Muslim-Jewish Engagement. [26 October 2015]. （原始内容存档于2015年10月25日） （英语）.